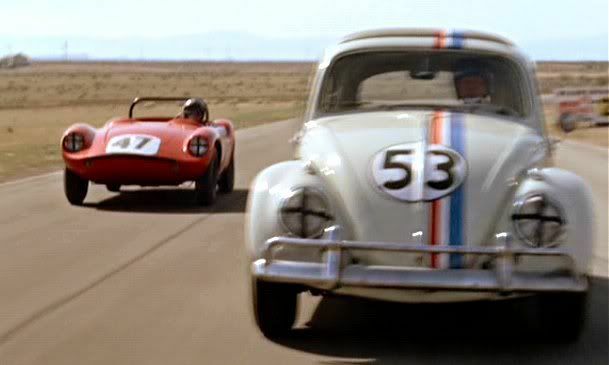 What do you think about the 1969 Disney film, The Love Bug? 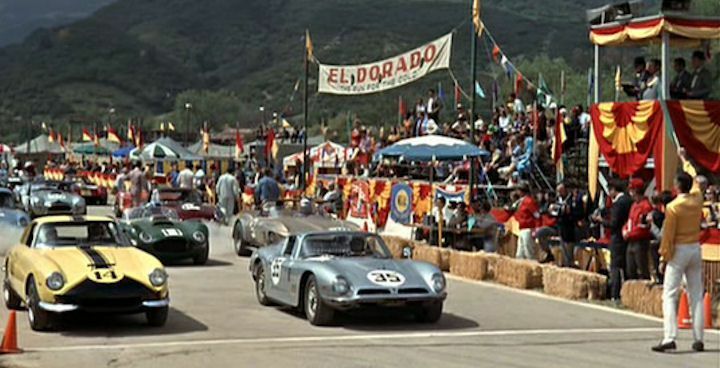 A soppy story with the most unlikely racing car imaginable? 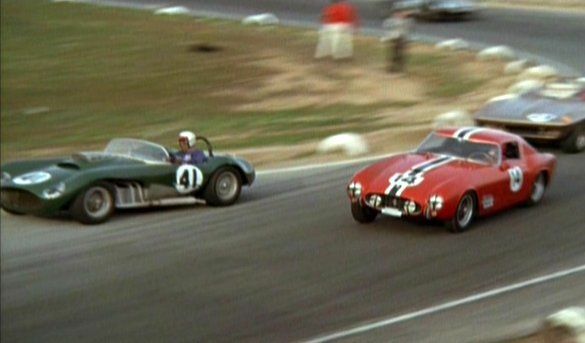 How about you see it as a good insight into American sports car racing in the ’60s with behind the scenes engineering by the mechanical wizards of the time. Forget about computer wizardry for special effects, if it couldn’t be built for real it couldn’t be done. 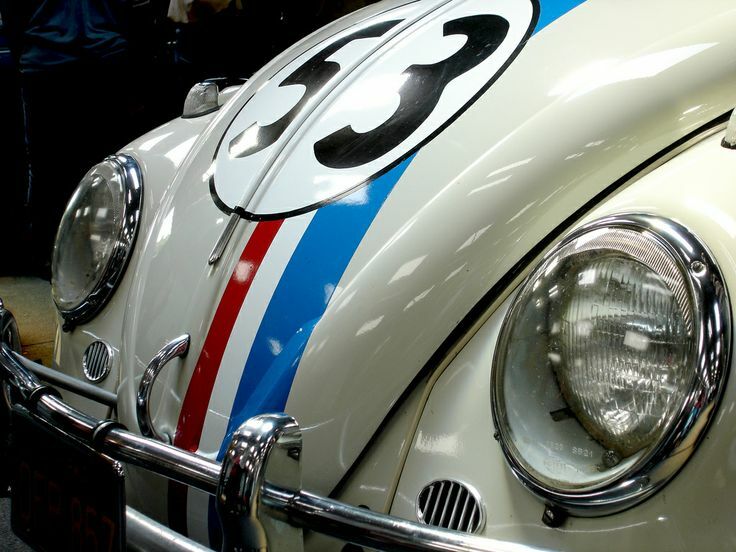 Let’s start with the cars, Herbie was a 1963 Volkswagen Beetle with sunroof, it was painted L87 Pearl White but the car’s interior was grey to cut down on camera glare from the studio lights. 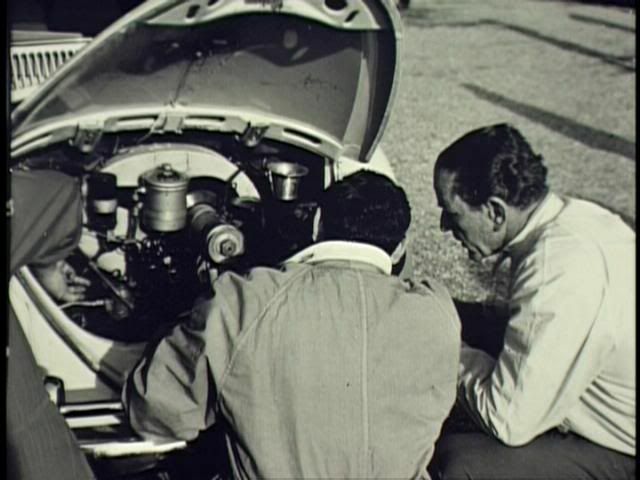 A 1200cc engine wasn’t enough to get the car around Riverside raceway with conviction so one of the cars was fitted with a Porsche 356 Super 90 engine. 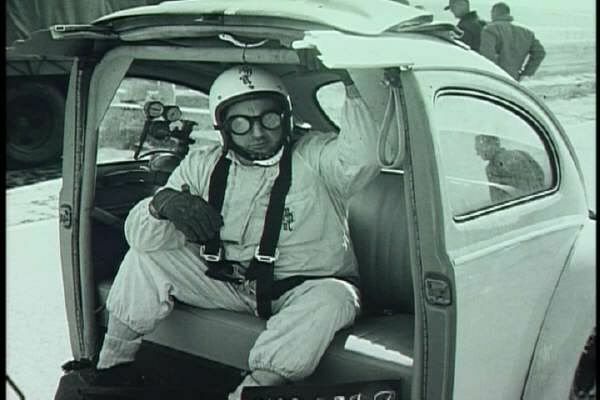 As well as the Porsche engine, the racing Herbie was also fitted with Porsche brakes and uprated suspension with extra control arms to keep those swing axles under control. 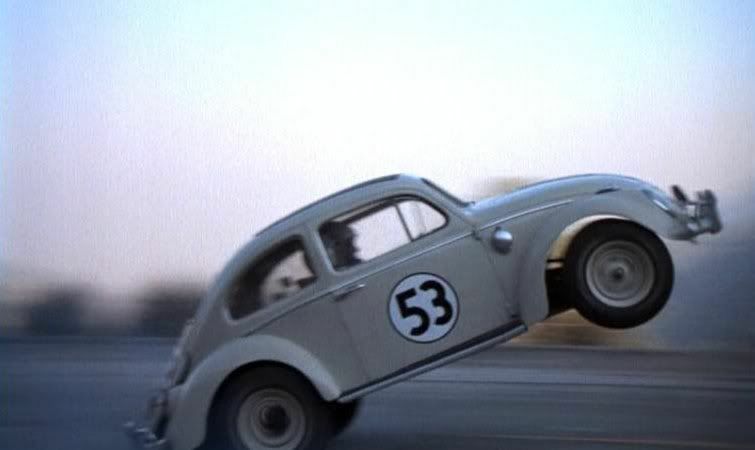 There was more help to get the Volkswagen going fast – the high speed scenes were driven by Carey Loftin, probably the most talented stunt driver of his time who at the same time was working on Steven McQueen’s chase in Bullitt. 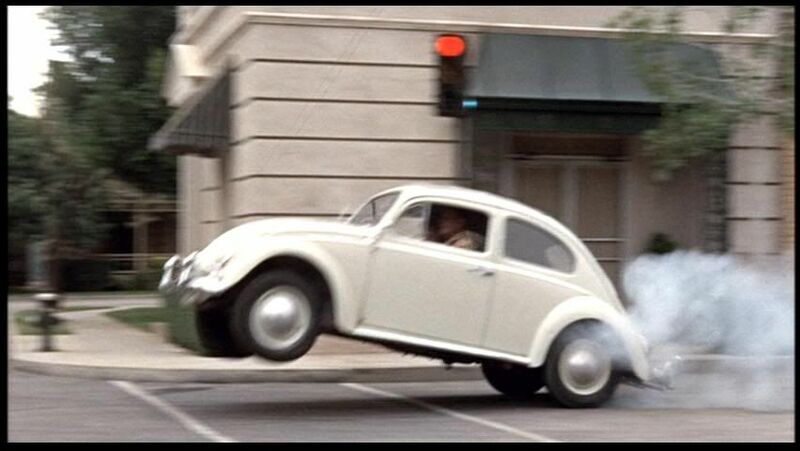 The VW did some other amazing things in the film, driving without a driver was impressive and Disney’s Danny Lee came up with a system where the driver sat behind the main seat with a mechanical link to the steering and pedals. I know it looks a bit basic but they were still using the same system 15 years later in Hollywood. 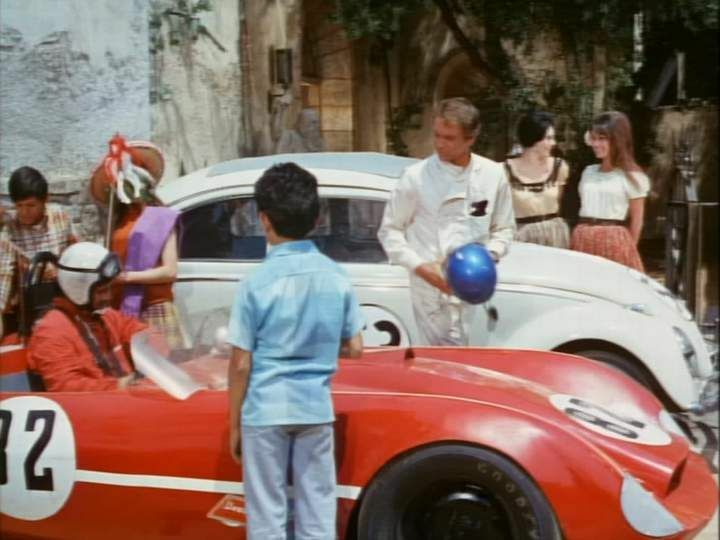 In the next Herbie film the wheelies were done with a counterweight on the back bumper while for later films there was a special car built with shorter wheelbase (look at the rear quarter panel behind the door) and 1835cc engine. 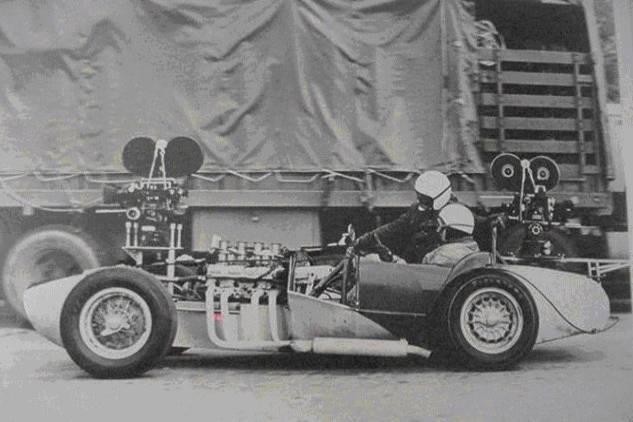 There was no weight at the front and this car was fitted with “fiddle brakes” like a trials car so it could even be steered while the front wheels were in the air. Bizzarrani. 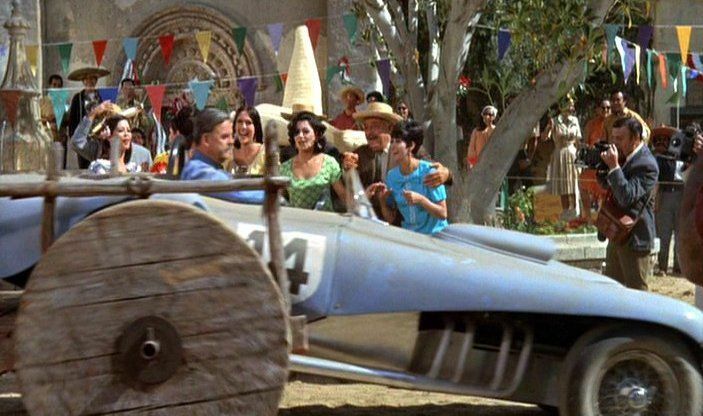 This was actually owned by stunt driver Carey Loftin at the time! 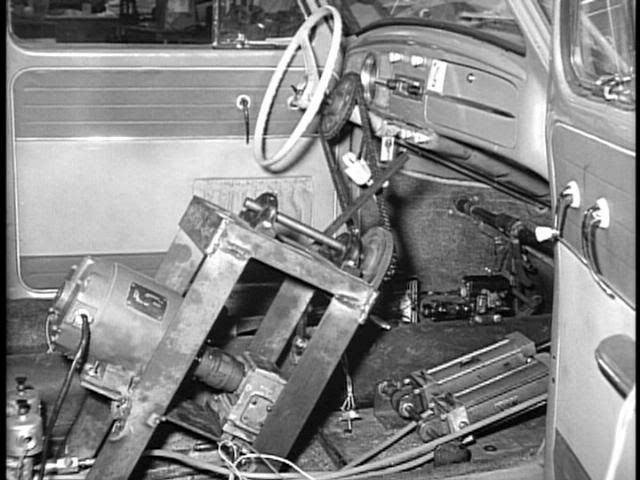 Other talents in the film include Max Balchowsky, he was responsible for building the Mustang and Charger in Bullitt and he helped out with Herbie too, keeping it running on set and as a stunt double for Buddy Hackett in the dangerous scenes, this is him, the steering controls for this car are up on the roll bar so it could be steered without a steering wheel. 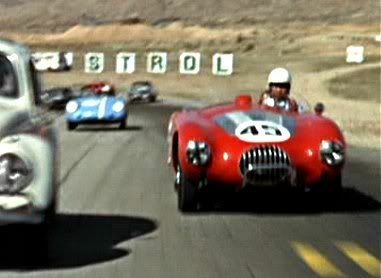 Max Balchowsky also hired out his ol yaller Mk IV racing car, it was used in racing scenes as well as a camera car. The chassis fits neatly underneath and while I usually fit the stiffer springs than my American sedans it leans just enough to show you the stunt driver is trying hard. 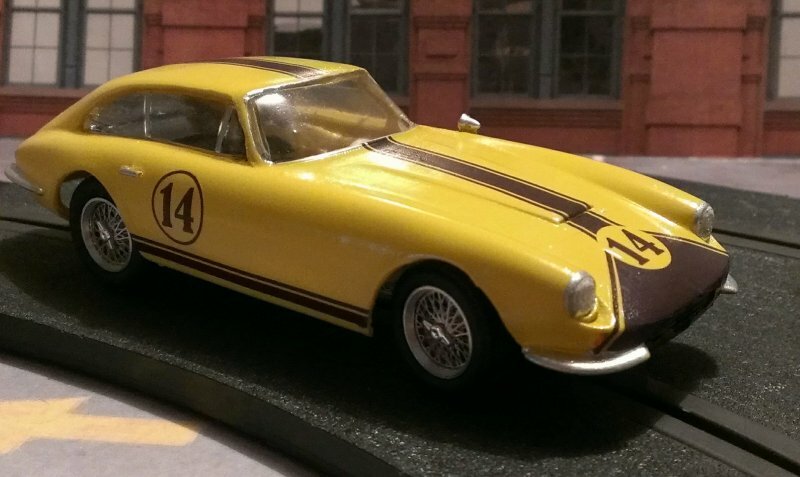 Alongside it I also built an Intermeccanica Apollo, a fantastic mix of Jaguar plus Ferrari styling with Buick running gear. 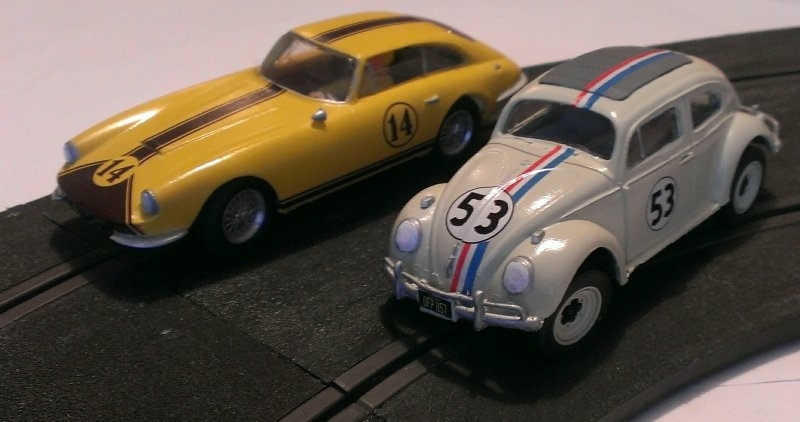 More information on Herbie and the Thorndyke Special kits on the links.